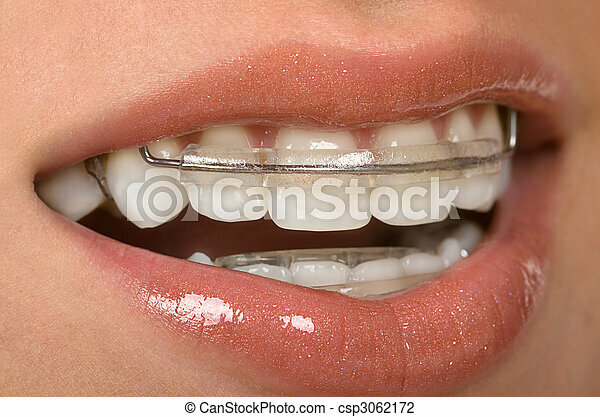 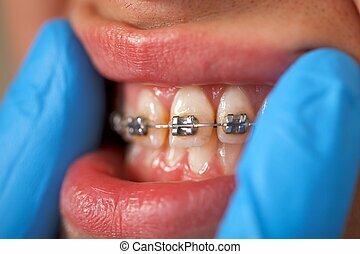 A macro shot of dental braces, (orthodontic braces) are a device used in orthodontics to align teeth and their position with regard to a person\'s bite. 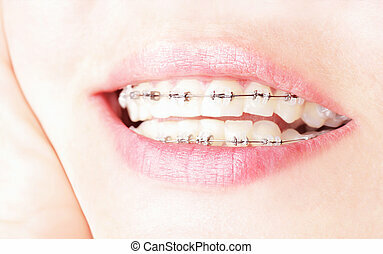 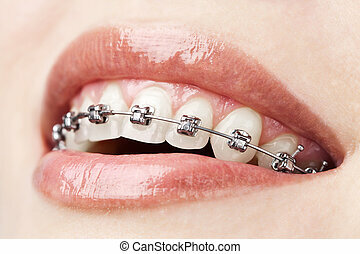 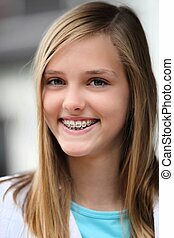 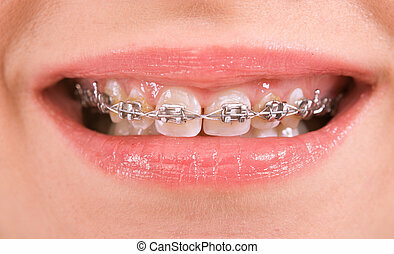 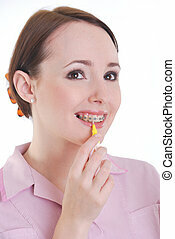 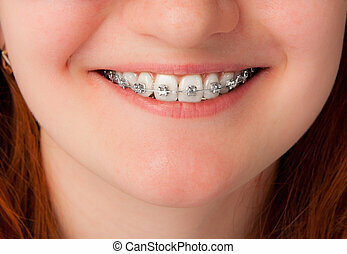 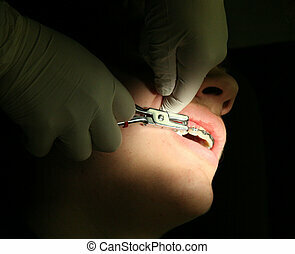 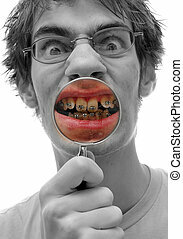 A young adult holds a magnifying glass up to his crooked teeth with braces on. 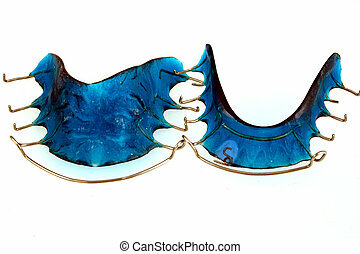 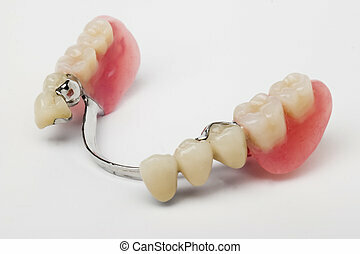 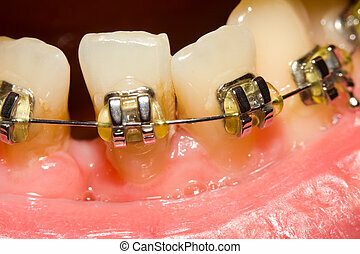 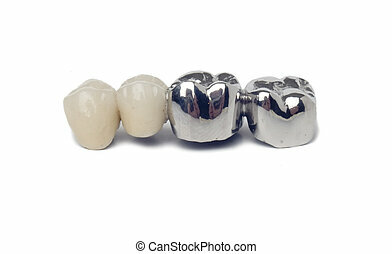 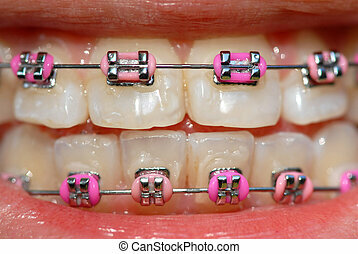 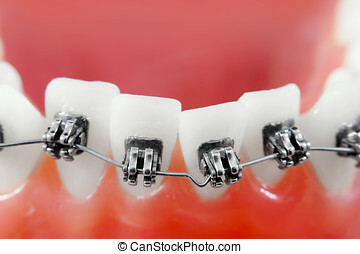 A pair of custom made dental retainers used to keep teeth in alignment after removing braces.